Nigerians have applauded footballer Mikel Obi who played in Nigeria’s defeat to Argentina despite getting news before the march that his father’s life was in danger. 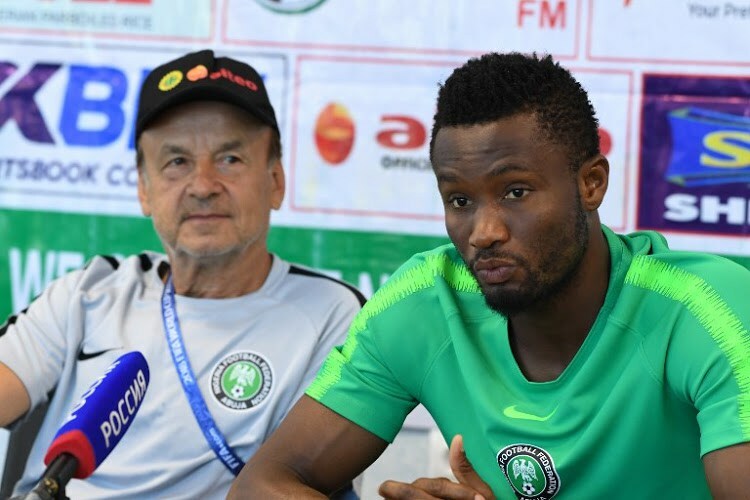 Mikel was told that his father had been kidnapped and would be killed if he reports – just hours before he led Nigeria into their final World Cup group phase tie against Argentina. The Nigeria captain received the shocking news as he traveled on the team bus to the stadium in St Petersburg last Tuesday. A family member called him and told him that he had to call the kidnappers on a designated number. When Mikel did so, he was ordered to pay a ransom. Mikel told the Guardian that he could not confide in anyone at the Nigerian Football Federation – partly because he did not want to be a distraction before the game. Pa Michael Obi was abducted on Makurdi-Enugu Road, South-East Nigeria, as he traveled to a funeral from Jos. The police in Nigeria were able to secure his release, but Mikel said his father was tortured during a week-long ordeal and is currently receiving emergency treatment in a hospital. It is the second time that he has been kidnapped, with the first one being in August 2011. He said, “I played while my father was in the hands of bandits. I had to suppress the trauma. I took a call four hours before kick-off to tell me what had happened. “I was emotionally distraught and I had to make the decision about whether I was mentally ready to play. I was confused. I did not know what to do but, in the end, I knew that I could not let 180 million Nigerians down. “I had to shut it out of my head and represent my country first. I could not even inform the coaches or NFF staff and only a very tight circle of my friends knew. “I was told that they would shoot my dad instantly if I report to the authorities or tell anybody. I also did not want to discuss it with the coach (Gernot Rohr) because I did not want my issue to become a distraction to him or the rest of the team on the day of such an important game. As much as I wanted to discuss it with the coach, I could not. “Thankfully, my father was safely released on Monday. I thank the police for their rescue efforts and the support I’ve received from friends and family members. Nigerians have taken to social media to applaud him for his rare display of patriotism and leadership despite his father’s situation. Some Nigerians even went ahead campaigning for the Super Eagles Captain to run for a political position, noting that they would vote him in. The federal government has condemned the kidnapping of Pa Michael John Obi, in a statement on Tuesday, the Minister of Youth and Sports, Solomon Dalung commended the former Chelsea star for his show of patriotism during the match following his courageous display of loyalty to the country despite the sad news of his father’s abduction.